If my preseason prediction holds true to form, the Eagles will only win one game for the remainder of this season. Of course, at this point, we should all take our preseason predictions and throw them out with that stale candy corn that is still sitting in your child’s Halloween candy basket. Whether you had an overly pessimistic prognostication (5-6 wins) or an overly optimistic one (10-11 wins) before the season began, what we are seeing defies any logic. 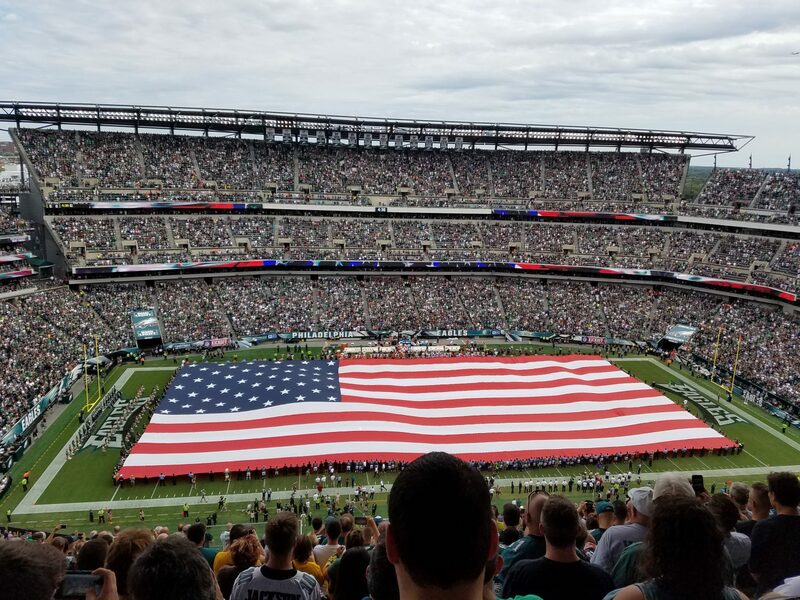 And while an 8-1 start does not a Super Bowl season make, consider this: The Eagles, in their previous 84 years of existence, have started 8-1 only four times (1949, 1960, 1980, & 2004). In 1949 & 1960, they became NFL Champions (in the pre-Super Bowl era). In 1980 & 2004, they went to the Super Bowl (albeit in a losing affair). Last Sunday, even after finding out that tight end Zach Ertz would be out for the game, the Birds still went out and put up 51 points against a Broncos team that had the #1 ranked defense heading into the game. The Eagles will have a tough 7-game stretch to end their season, including road games against the Cowboys, Seahawks, and Rams. And they will have to try to prevail in those contests without key players who are lost for the remainder of the season, including Jason Peters, Darren Sproles, and Jordan Hicks. But unless the injury bug continues to decimate the Eagles, such as a loss to quarterback Carson Wentz, there is no reason to think this team cannot continue what they have started. If you’re a Buffalo Bills fan, your interest in your team is sort of like your interest in that girl from back in your high school days – every time you think there’s a chance, you’re bound to be disappointed. The Buffalo Bills started the season 5-2, giving their fans much optimism that this could be the first time in 18 seasons that their beloved Bills make the playoffs. And then they proceeded to go out last week and lose a stinker to the lowly New York Jets. The Saints started the season 0-2 but have since run off 6 straight wins, putting them in the lead in the NFC South and in the mix with the Eagles for the top seed in the NFC. This game is being played in Buffalo, which should help the Bills chances, being that the Saints will be outside the creature comforts of their dome. Eagles fans will be hoping that the Bills can rebound and hurt New Orleans’ chances of catching the Eagles in the race for the #1 seed in the NFC. If you’re an Eagles fan married to a Redskins fan, this will be one of those rare NFL Sundays where there will be harmony and marital bliss in your household, as all Eagles fans should be rooting for the ‘Skins to defeat the Vikings. Washington sits at 4-4 and has already lost both games against the Eagles, so their chances of catching the Eagles and winning the NFC East is about as likely as me winning the Powerball lottery. The Vikings, like the Saints, are also 6-2 and have their sites set on catching the Eagles and securing that #1 overall seed in the NFC. The Redskins can still secure a playoff birth via a wildcard spot, and a win today would benefit them against a tough Vikings team. For the last few weeks, it’s been just as difficult to decipher whether Ezekiel Elliott will play for the Cowboys as it is to figure out whether Joel Embiid will play for the Sixers. Some clarity on this issue did come to light this week, as Elliott will be out for at least the next four weeks, until his Dec. 1st court date. The Cowboys are the closest threat to overtaking the Eagles, as they sit 2.5 games back of the Birds in the NFC East and still have two games remaining against us, including what could be a pivotal Sunday night showdown next week. The Falcons are suffering from the typical Super Bowl loser “hangover”, as they sit at 4-4 and are in danger of falling further back of the Saints and Panthers in the tough NFC South. Atlanta is playing at home, where a win for the Falcons would not only help their own cause, but the Eagles cause as well. The Dolphins, much like their fellow AFC brethren, the Bills, always seem ready to have a breakout season, and then end up flopping (which is ironic since they are Dolphins after all). The Panthers still have hope to win the NFC South, with the Saints only a half-game ahead of them. Carolina is two games behind the Eagles in terms of conference seeding, and a loss in hand already against the Birds will hurt their chances of overtaking the Eagles. However, if a 3-way tie were to occur for the conference lead, their loss to Philadelphia might be a non-issue (since head-to-head only matters if all three teams have played each other). Another game where we should be rooting for an AFC East team (in this case, Miami) to win. Enjoy this Sunday Funday/Eagles bye week everyone. Let’s go Bills, Redskins, Falcons, and Dolphins.